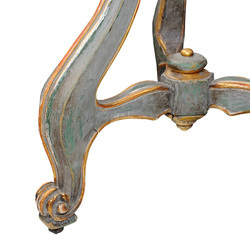 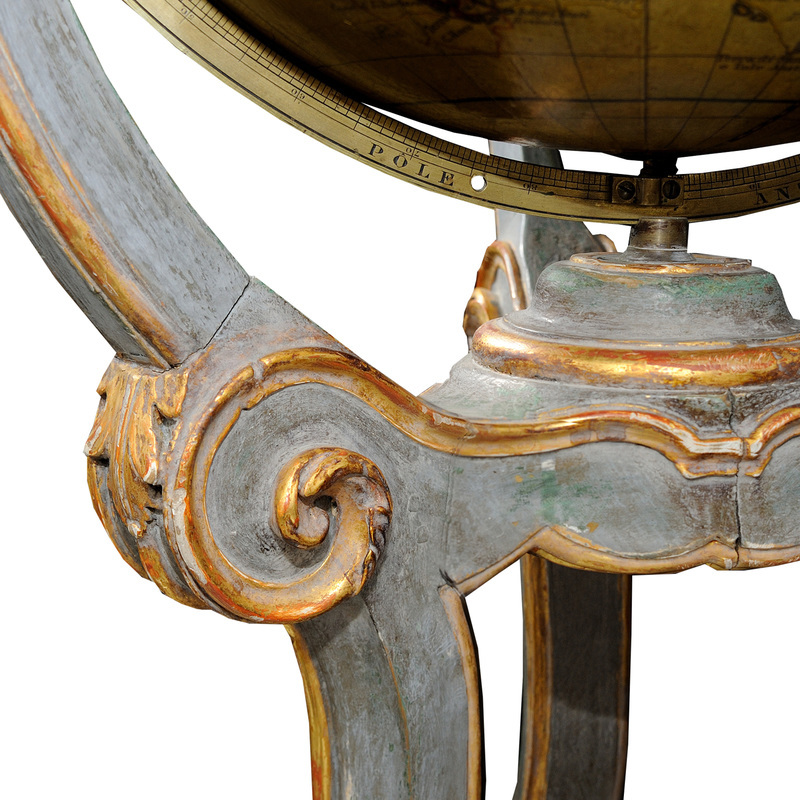 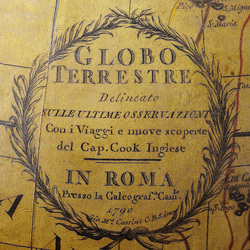 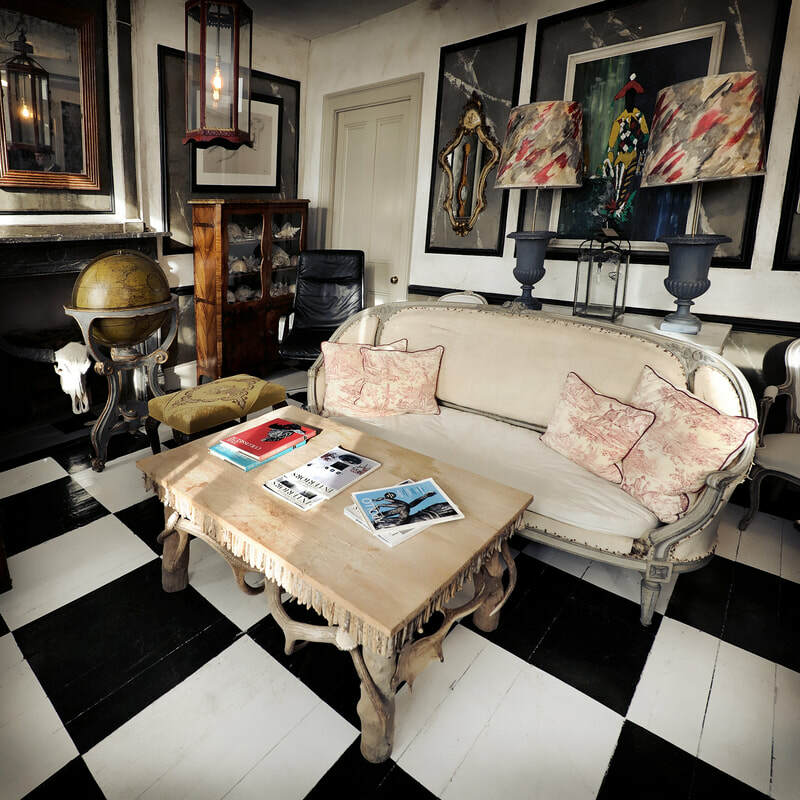 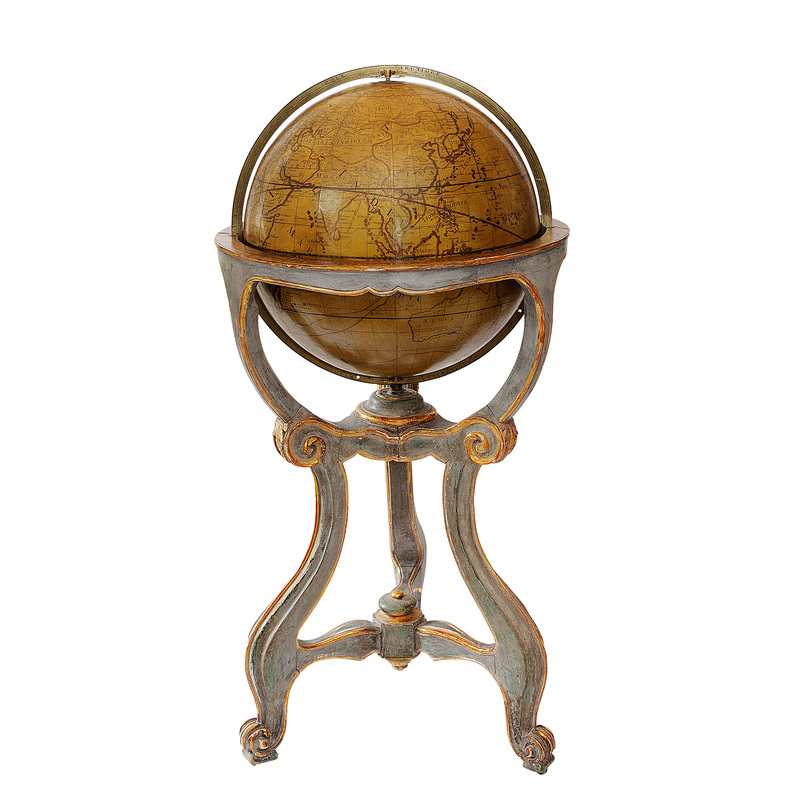 A magificant, large-scale mid-18th Century painted and giltwood Italian library globe stand, circa 1760, housing a later 20" diameter globe with gores (maps) originally published in Rome depicting the voyages of exploration of the English mariner, Captain James Cook, during the 1780s. 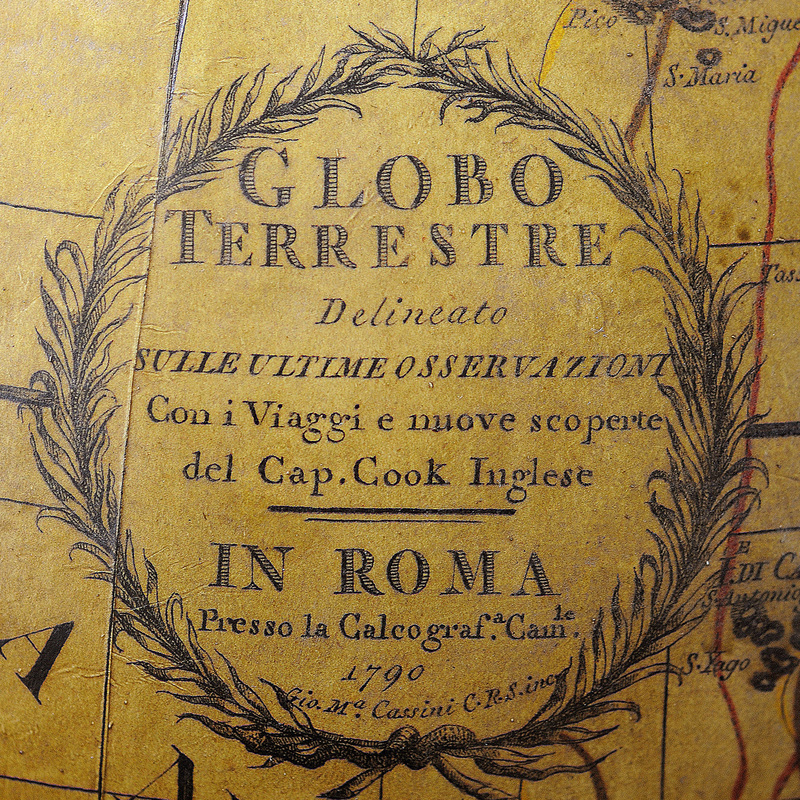 These voyages were so important to the development of cartography that many European library globes were updated to include his latest discoveries. For a similar example, see Lot no.75 of the Christies Monaco sale 28th & 29th April 2000 of the Karl Largerfeld Collection.